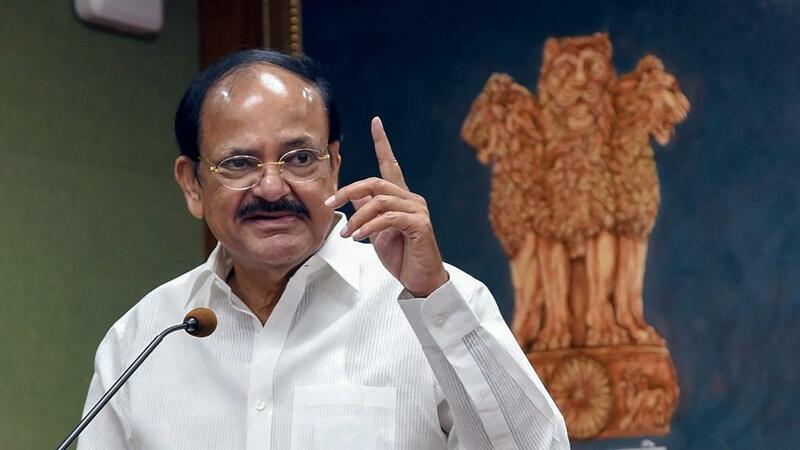 Vice President Venkaiah Naidu was conferred the degree of “Doctor Honoris Causa”( Doctor of Philosophy) from the UN established University of Peace for his contribution to the Rule of Law, democracy and sustainable development in India. He is the first Indian to receive an honorary doctorate from the University of Peace. The University of Peace was established the United Nations General Assembly in 1980 with the main campus at Costa Rica, a country of Central America. Prime Minister Narendra Modi has inaugurated the new Pandit Deendayal Upadhyaya Institute of Archaeology at Greater Noida in Uttar Pradesh. On the occasion, he also unveiled the statue of Pandit Deendayal Upadhyaya at the campus. The Institute provides students with the necessary supportive, enthusiastic and challenging academic atmosphere which enables them to achieve their full potential in the field of Archaeology. President Ram Nath Kovind has launched the Pulse Polio Programme 2019 administer polio drops to children less than five years of age. The pulse polio programme 2019 is aimed at sustaining the polio eradication from the country. India was declared polio-free country in the year 2014. Polio also known as poliomyelitis is a highly contagious viral disease. President Ram Nath Kovind has approved the appointment of Hasmukh Adhia, a Gujarat cadre IAS officer, as the chancellor of Gujarat Central University for a period of five years. He has worked as the secretary in the Department of Financial Services in Gujarat. Central Universities are established in India under the Central Universities Act 2009. The Ministry of Tourism, Government of India has won the First Prize in the category of TV Cinema Spot at the prestigious international Golden City Gate Tourism Awards 2019. The promotional films/television commercials produced as part of its Incredible India 2.0 Campaign by the Ministry of Tourism have received many awards. Prime Minister Narendra Modi attended the 50th Raising Day celebrations of Central Industrial Security Forces (CISF), at Indirapuram in Ghaziabad, Uttar Pradesh. Central Industrial Security Forces (CISF) came into existence in 1969. Together with manning critical and vital installations of the country, CISF has also emerged as a force to reckon during disasters. The President Ram Nath Kovind on March 11, 2019 conferred the Padma Awards 2019, one of the highest civilian awards of India, to 112 awardees. The awards were announced on January 25, 2019 on the occasion of Republic Day eve in three categories: Padma Vibhushan: For exceptional and distinguished service, Padma Bhushan: For distinguished service of high order and Padma Shri: For distinguished service in any field. 1. Who is the first Indian to receive an honorary doctorate from the University of Peace? 2. When was University of Peace established by UNGA? 3. Where has been the new Pandit Deendayal Upadhyaya Institute of Archaeology recently? 4. When was India declared as a polio-free country? 5. Who has been appointed as the chancellor of Gujarat Central University? 6. When did Central Industrial Security Forces (CISF) come into existence? 7. How many categories are there in Padma Awards?